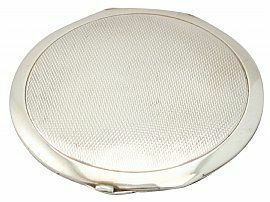 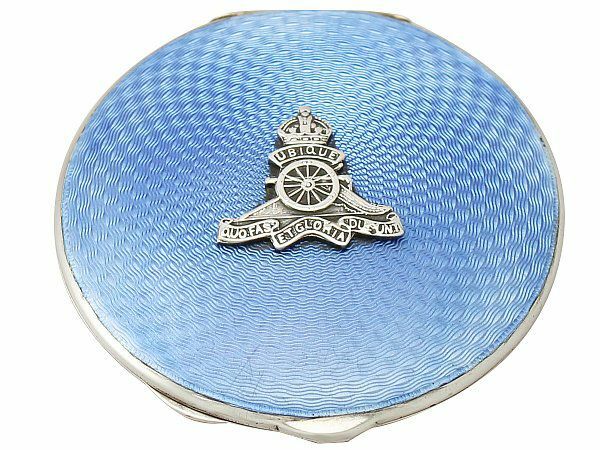 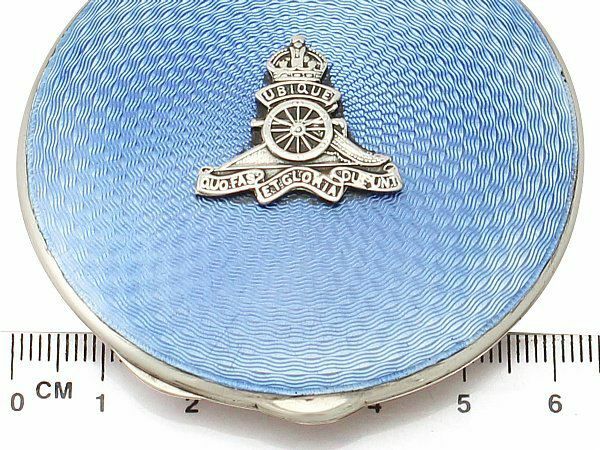 This fine antique George VI sterling silver and guilloche enamel compact has a circular rounded form. 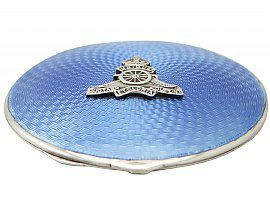 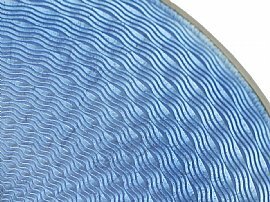 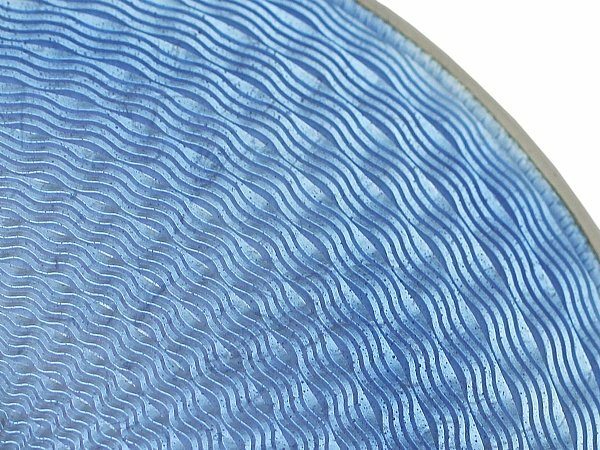 The subtly convex anterior surface is embellished with a blue guilloche enamel panel which reflects a wavy concentric ring design, emanating from the centre of the cover. 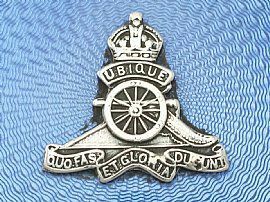 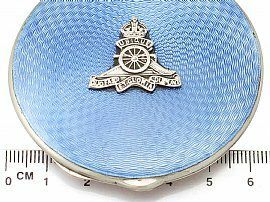 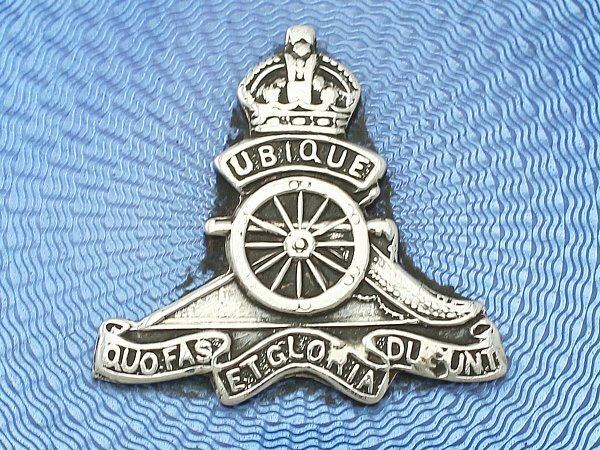 The front cover retains the original applied silver ornament depicting a Royal Artillery* cap badge including the regimental motto ‘Ubique’ - ‘Everywhere’ and ‘Quo Fas Et Gloria Ducunt’ - ‘Where Right And Glory Lead’. 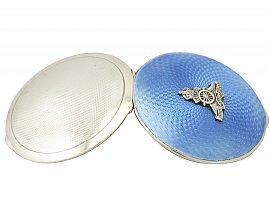 The reverse of the compact, which is also subtly convex in nature, is embellished with engine turned decoration. The compact is fitted with two plain thumbpieces. 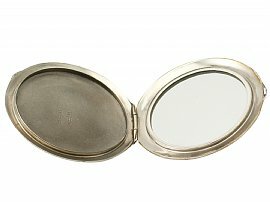 This antique compact opens to reveal integrated mirror and powder compartments. 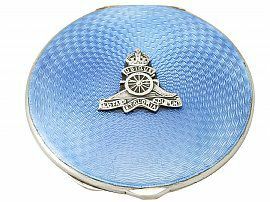 * The Royal Regiment of Artillery (RA) is the artillery arm of the British Army. This antique compact is a very good gauge of silver, fine quality and in excellent presentation condition. 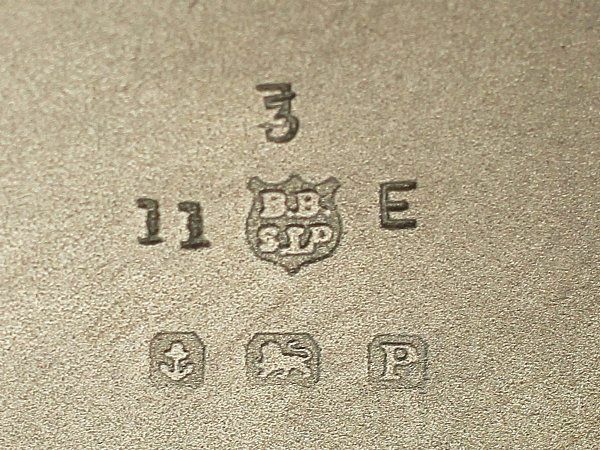 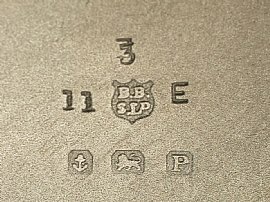 The enamel to the front cover is in perfect condition. Full hallmarks struck to the interior of the compact are very clear.